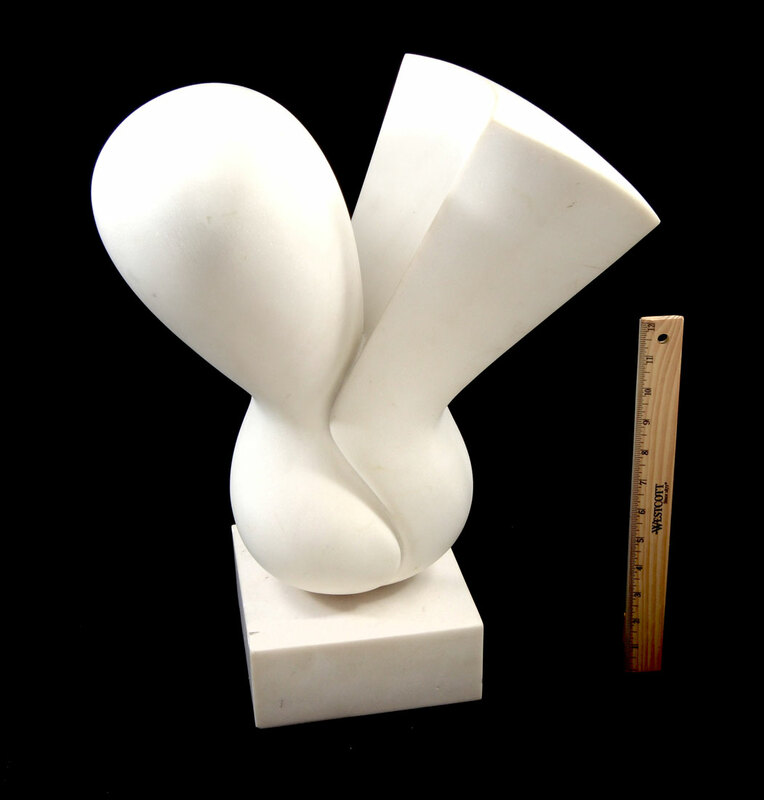 GENDLER, Zipporah, (Israel, 1940-): Modernist Geometric Composition, Marble, 18'' H, signed on the base. 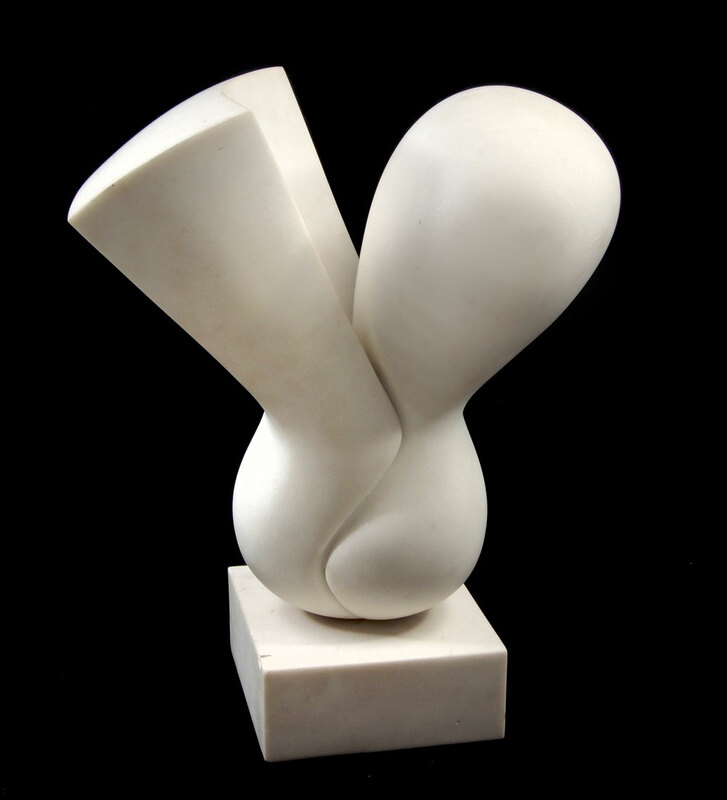 Gendler was the younger sister of renowned Canadian sculptor Sorel Etrog. Etrog frequently assisted on her sculptures. CONDITION: Several small chips to base, some spots of discoloration, sold as is.